Did You Know Your Smoking Habit Can Affect Hearing Health? A smoking habit has a long list of well-known risks to health, including respiratory problems, cancer and heart disease. The CDC (Centers for Disease Control) has estimated that about 40 million Americans smoke cigarettes, so this can have huge health implications on the US population. Already it is estimated that approximately 16 million of these smokers are suffering from a smoking-related disease or ailment, and smoking results in over 480,000 deaths in America each year. If you smoke or live with a smoker, you probably know the health risks associated with that habit. What you may not know is that smoking can also affect hearing health. 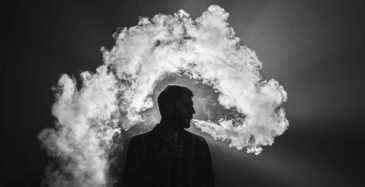 Researchers have known there is a correlation between smoking and hearing loss since a study in 1962, but studies since then have confirmed it over and over again. It has been demonstrated that there is a 70% increased risk of hearing damage in smokers over non-smokers. If you don’t smoke but you live with a smoker, you are also at risk: exposure to second-hand smoke doubles your risk of hearing loss over those without exposure. And if you are young, don’t think you are excluded from these statistics: even teens exposed to cigarette smoke are two to three times more likely to develop hearing damage compared to those teens without smoke exposure. Many of those affected don’t even realize their hearing has been compromised until the damage has been done. Cigarettes contain many harmful chemicals and toxins, from arsenic, formaldehyde and hydrogen cyanide, to ammonia and nicotine. Carbon monoxide and nicotine can deplete oxygen levels and cause blood vessels to constrict throughout the body. When blood flow is restricted, your hearing can suffer because the inner ear hair cells depend on good blood flow to function. Smoking damages the body’s cells and creates free radicals, which cause disease and damage DNA. Smoke itself also irritates the Eustachian tube as well as the middle ear lining. Greater damage can occur the longer a person smokes or is exposed to smoke. The good news, however, is that the body begins to repair itself within minutes of quitting smoking. Levels of circulation and blood pressure improve, and oxygen and carbon monoxide levels begin returning to normal within just a few hours. Your sense of taste and smell begin to return about 48 hours after smoking your last cigarette, your nerve endings begin to regenerate and healthy tissue is formed. The benefits of quitting are numerous, including lowered risk of cancer and coronary heart disease, improved respiratory function and reduced sympotms such as coughing, shortness of breath and wheezing. Fertility for women of reproductive age also improves when quitting smoking. Among all of the other benefits, your hearing may also improve as the damage-causing elements are removed. If you would like to quit, the website smokefree.gov has great tips on quitting and helps you to create a plan and get through your first cigarette-free day. Quitting smoking will affect every part of your health, including your hearing health! Regular hearing screenings can also ensure any hearing damage is caught at the earliest stages and further progression can be slowed or prevented.